Update: Now 3 Day Refresh is available on Amazon.com. If you’ve fallen into bad habits with your diet, or need to break through a fitness plateau that’s got you stalled, you should consider giving the 3 Day Refresh cleanse a try. 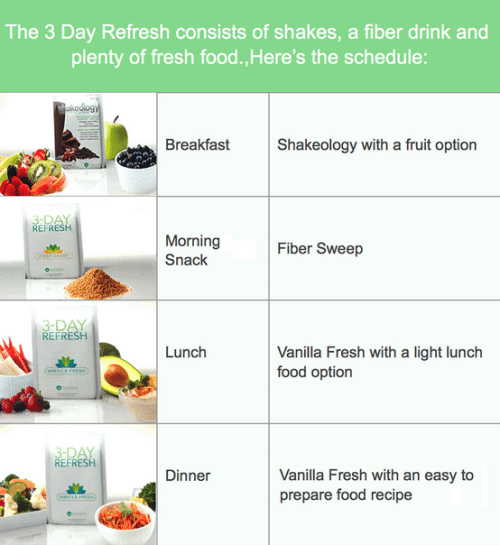 The 3-Day Refresh is one of the hottest health and diet techniques in the world right now, and if you have a social media account you probably see references to it every day. The evening meal is where the 3-Day Refresh Meal Plan really shines. The method has great recipes for tasty meals, like a stir-fry medley of vegetables to go with hearty salads. The recipes are easy to follow, and they have selections to make hot or prepare and store if you prefer, check my own recipes here.The evening meal included another Vanilla Fresh shake, and then lots more water. Since the actual food intake during the day was so low, it’s uncanny how full you feel, and how much energy you have. If you keep track of your progress, you’ll see real, measurable results. Depending on whether you’re starting a serious weight loss plan or tuning up an existing fitness routine, you’ll lose inches and pounds on your belly, upper arms, and upper legs. 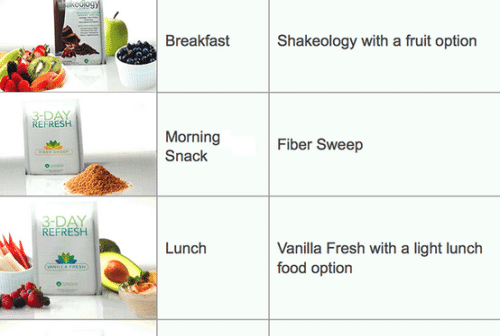 Give the 3-Day Refresh Meal Plan a try, now Available on Amazon.com , and feel better and look better right away! Next Article What is the Paleo Diet ?